Getting to know Verhoeven’s style from her illustrations and other work, I’m impressed with the distinctive look to this comic. There’s a driven quality, sometimes a rough and jagged line, that gives the story an added punch. It feels like the drawings are sometimes done quickly, especially at agitated moments, and then, at quieter moments, the expressive line slows down, smooths out, and picks up more detail. Given the constant shift in the plot, it makes sense. The characters are all children living in a densely packed multi-racial urban neighborhood. Tensions can flare up easily for no reason. As far as Ty is concerned, the self-proclaimed king of the hood, there’s always a reason why he is displeased and crazy angry. His face, angular and forceful, looks like it’s never known any rest. But Ty isn’t the only kid who is perpetually upset. In fact, it looks like there’s plenty of reason to be concerned. It’s just a question as to what it is that everyone is afraid of. Ah, that is the question! This story slowly builds up to reveal a world in crisis. Something is revealing itself, for sure, through cracks and crevices, and through the children in the neighborhood. This is one true page-turner, a really big story coming to you from the pages of a trusty mini comic. 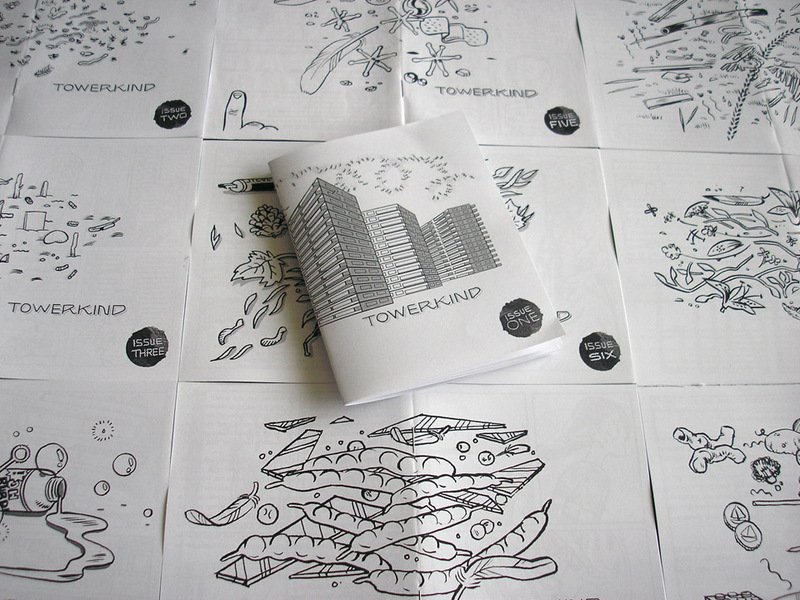 Get in on all the fun by becoming a Towerkind subscriber here. Towerkind is made in association with The Friendship Edition Collective. Visit them here. 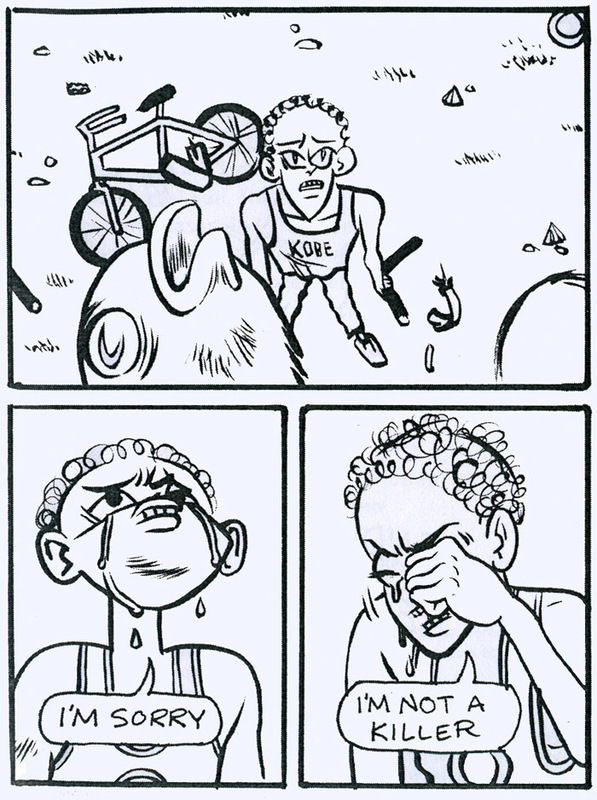 Visit Kat Verhoeven’s comics and illustration site here and check out her webcomic, “Meat & Bone,” here.